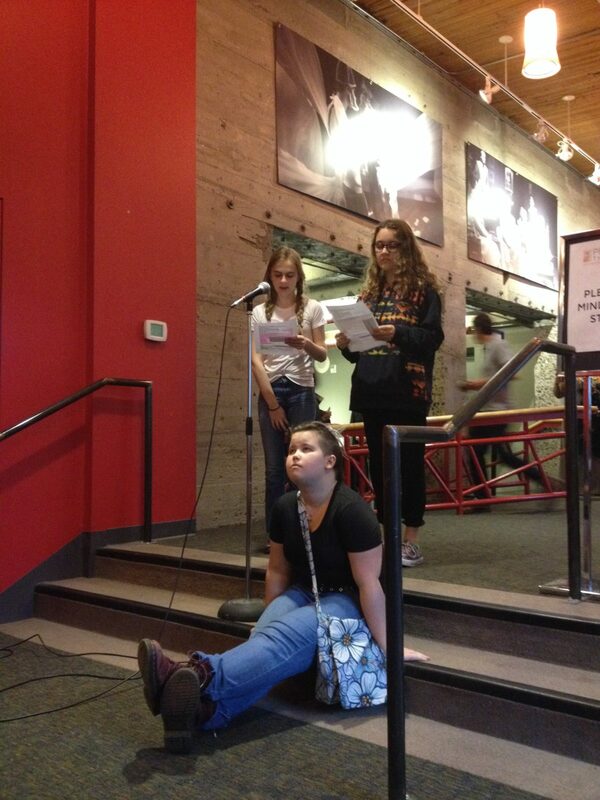 Profile Theatre » Students at Metropolitan Learning Center flourish in their Profile Theatre classes! 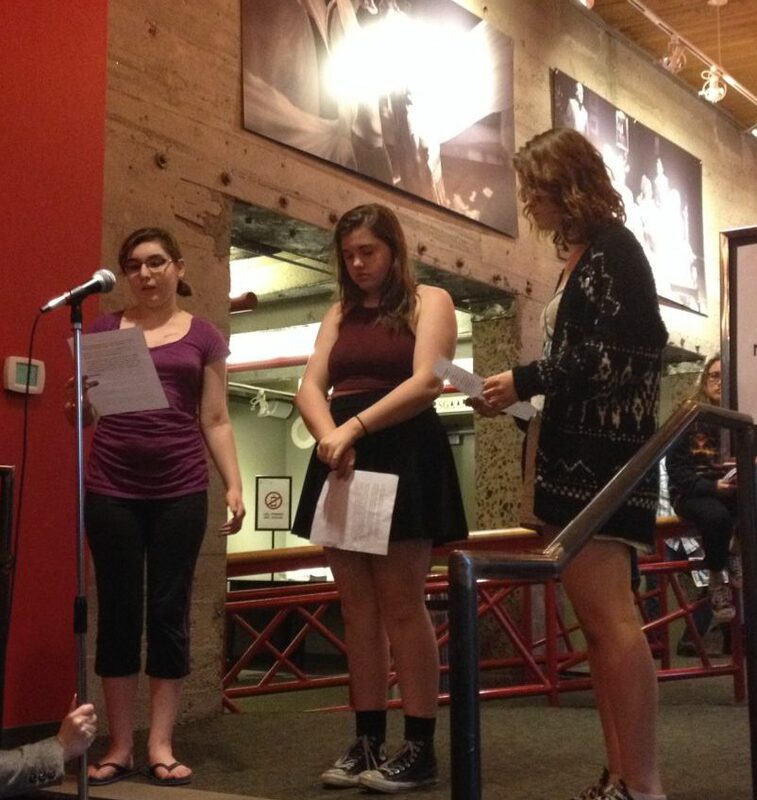 Students at Metropolitan Learning Center flourish in their Profile Theatre classes! Profile Theatre has partnered with Metropolitan Learning Center for 14 years, sending exceptional teaching artists to teach a class called Theatre Arts. Juniors and seniors explore all aspects of theatre through the lens of our season’s featured playwright. This school year, Profile is offering a second residency at MLC, and this time it’s for freshman and sophomores! Veteran teaching artist Katherine Lewis has spent the last couple months working with a group of students, many of whom are experiencing theatre for the first time. Using physical activities, games, writing exercises and discussions, Katherine has helped the students form an ensemble. They researched the Antigone myth, and then read Profile’s next main stage play, Fall Festival: Antigone Project. Now the students are creating their own version of Antigone, based on their lives and concerns. Katherine’s MLC students went from being too shy to speak in class to standing at a mic in front of a crowd! Several of them presented excerpts from their work-in-progress to the gathered audience before a recent production of Blue Door. If you’d like to see what Profile residencies foster, check out the final presentation by the younger class of MLC students, which is open to the pubic.